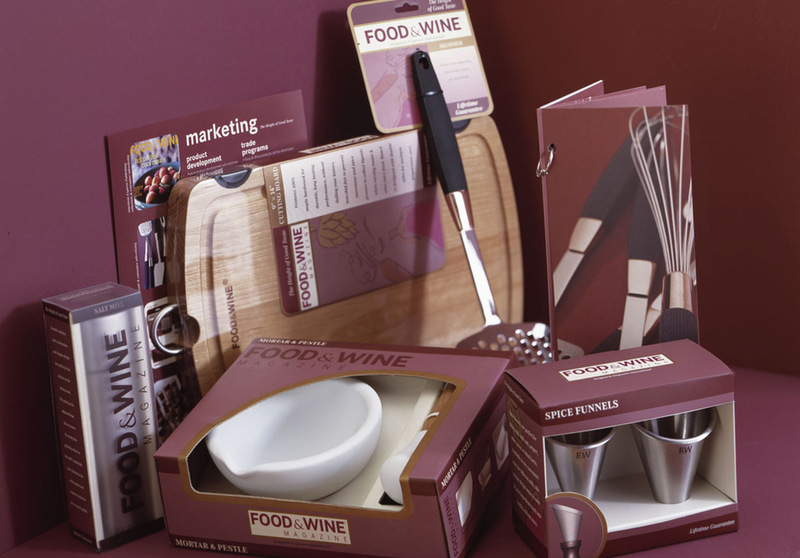 PROGRESSIVE INTERNATIONAL, CORP. | 2001-2002- Food and Wine Magazine® teamed up with Progressive International in a licensing agreement for a line of premium quality kitchenware and gadgets. Amy led the design of all photography, packaging, consumer and trade advertising, promotional materials, as well as trade show booth design for the collection's launch at the International Housewares Show. The brand included the use of non-traditional materials in kitchenware packaging - vellum acetate, matte printing and clear varnishes.